Shoes can often times be great inspiration for jump starting your color palette for your wedding, or any event you are planning. This is where I found the inspiration to create the style boards below, when I discovered the very fun line of Betsey Johnson shoes on Endless.com. The new line has a lot of richness, depth, and pop, like eye candy. 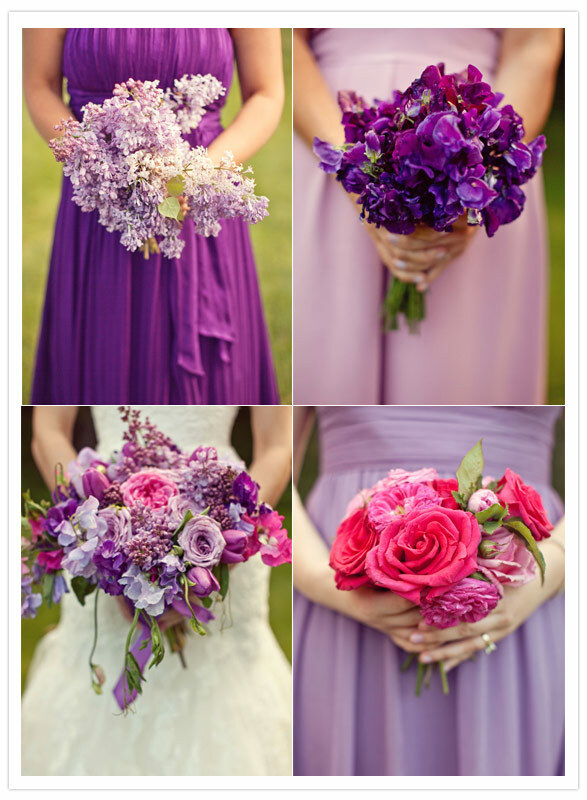 The colors are gorgeous, and many colors match the "plum" theme, such as hues of turquoise, lime green, magenta, iris, and deeper shades of purple. 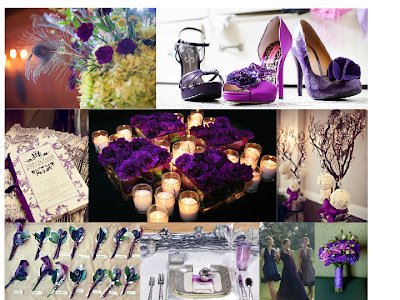 The first style board created offers more of a formal look to combining the inspiring shoes with elegant touches of green/blue peacock feathers, flowers in shades of purple, surrounded in candlelight, softening the balance. 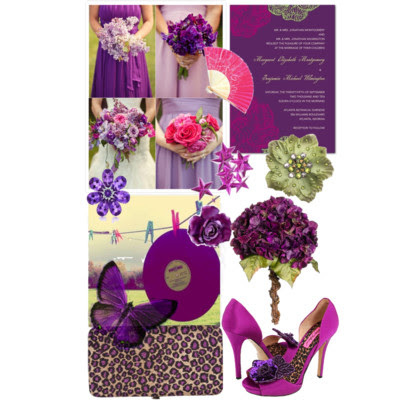 This style board has fun with the colors, offering a modern and young appeal, with vibrant colors, playing a bit with cheetah print mixed with pink and purple hues, lime green embellishments and touches of glamour with brooches and gems. Browse through any online shoe source, or the fashion magazines, and see if shoes might inspire your color palette! Have fun!